This post about Dog Halloween Costumes for pets is brought to you by Dollar General. The content and opinions expressed below are that of close to home. Do you dress your dog up for Halloween? Maybe you never thought of a creative dog Halloween costume. 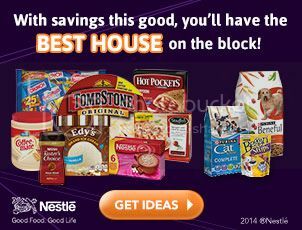 I recently visited Dollar General online and realized they have a whole section of creative dog costumes as well as other great Halloween ideas sponsored by Nestle®. Who knows Halloween better than a company that makes chocolate. Any one can upload a photo of their pet to the photo tool and share that photo online. 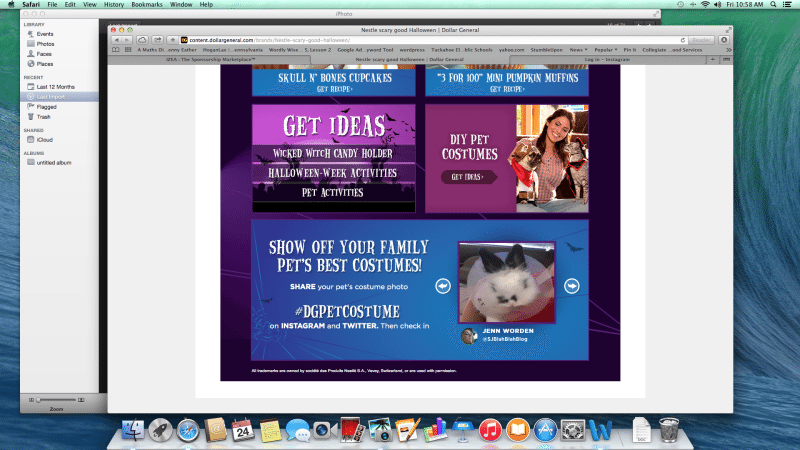 Make sure to include the Instagram/Twitter hashtag #DGPETCOSTUME in your shared photos. Then go back to DG.com and see if you are on their website. Be sure and take a screen shot right away when you see it. Maybe you do not dress up your dog for Halloween, DG.Com has ton of fun recipe ideas to make your Halloween a little more Spooky as well as more economical. From Halloween Crafts to Halloween Recipes to Halloween Costume Ideas who knew DollarGeneral.com and Nestle® would be so helpful. « Have you tried Silk CashewMilk? Doggy costumes are too funny! I love seeing the costumes. They are so cute. I will need to get King dressed and take a pic and submit it! He is not real fond of dressing up but he does look good! I have actually never dressed my dog up for Halloween. Even when we put his coat on in the winter he freaks out. I wish my little dog would let me dress her up! These are so cute! My baby would look cute in these Halloween costumes! My baby look cute in these Halloween costumes! You’re so luck your dog will let you dress it up. Most people’s dogs either freak out or just decide the outfit is a giant, wearable chew toy. As much as I wish I could get my dog to dress up, he is way too much of a spaz LOL.